The Walk-On’s Independence Bowl will have a new route for the annual bowl parade on Tuesday, December 26. Part of the Rally on the Red Celebration, the bowl parade will travel from the Louisiana Boardwalk in Bossier City over the Texas Street Bridge and into the Red River District in Shreveport. Floats from the Krewe of Gemini will be carrying VIPs with throws of Mardi Gras beads, both teams marching bands and spirit squads, two floats with riders from Vicki’s School of Dance, and more. The parade route will begin at the Courtyard Marriott at the southern end of the Louisiana Boardwalk. Traveling north, the parade will turn onto Bass Pro Dr./Spears Street then turn west onto Texas Street. Traveling over the Texas Street Bridge, the parade will then turn north on Spring Street, east on Travis Street, and south on Commerce Street before ending at the Red River District. 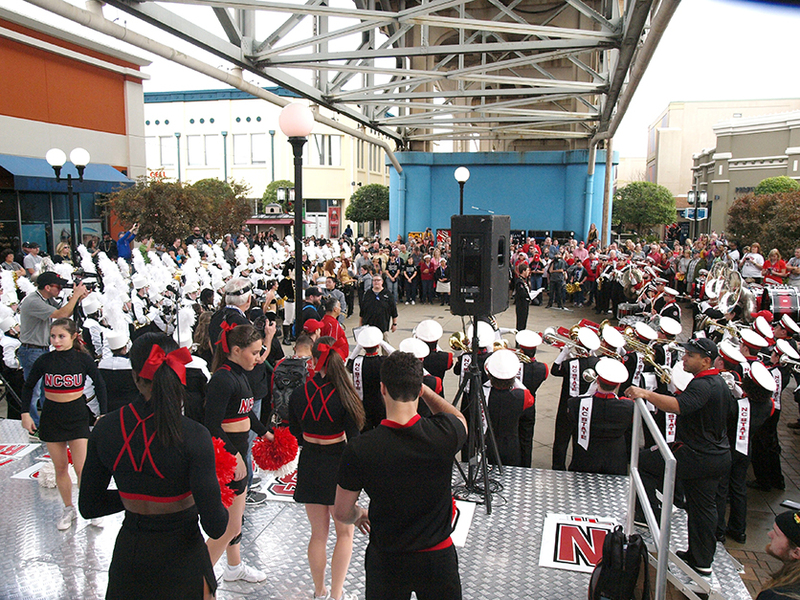 Fans can watch the parade at the Louisiana Boardwalk, on the walkways of the Texas Street Bridge, on Spring Street, on Travis Street, and on Commerce Street. However, no Mardi Gras throws will be allowed on the Texas Street Bridge. The Texas Street Bridge will be closed while the parade is in transit. Spring Street between Texas and Travis will only be closed for the duration of the parade (approximately 10-15 minutes). Fans and travelers should be advised that Commerce Street between Travis and Milam will be closed for the Rally on the Red celebration from 5 p.m. to 11 p.m. on December 26. The Rally on the Red also features a Pub Crawl, participants who visit all 6 locations of the Pub Crawl in downtown Shreveport can enter to win a Coors Light mountain mini-fridge. Registration for the Pub Crawl will be located at the Red River District and opens at 5 p.m. Once registered, Pub Crawl recipients will receive a commemorative Pub Crawl credential to be marked at each location. Once all six locations have been visited and marked, fans can enter the drawing. Registration for the Pub Crawl closes at 8 p.m.
After the parade reaches the Red River District, both teams’ marching bands will engage in a Pep Rally under the Texas Street Bridge. The performance will begin 10 minutes after the conclusion of the parade, fans who wish to watch the Pep Rally are encouraged be at the Red River District by 7 p.m. Rounding out the Rally on the Red festivities is a free concert from 90’s rock band, the Toadies. The Toadies more than 30-year career includes seven studio albums with number one hits “Possum Kingdom,” “Away,” and “Tyler.” The concert will begin at 8 p.m.
©2017 Independence Bowl Foundation. Website maintained by Kalmbach Smith Meadows.